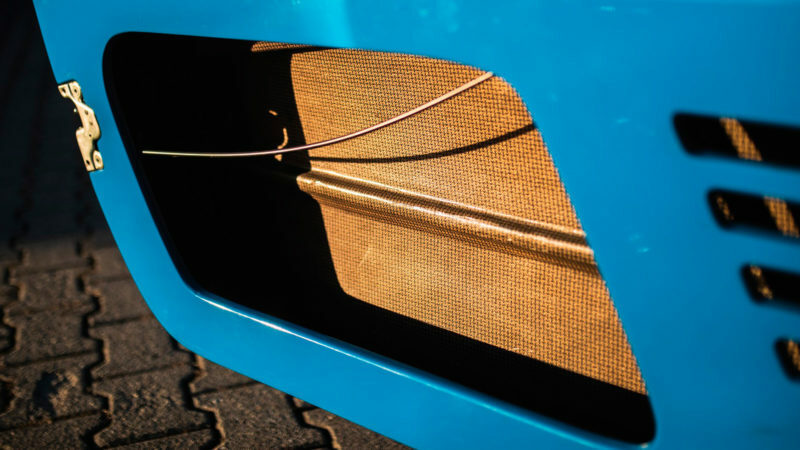 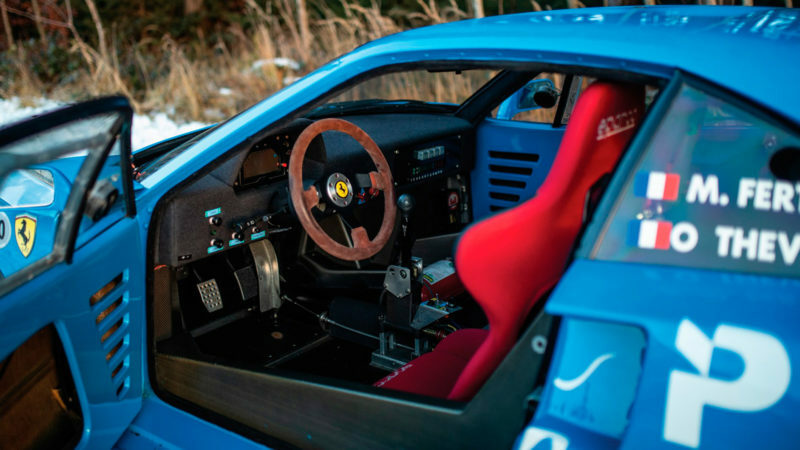 A piece of Ferrari history goes up for auction. 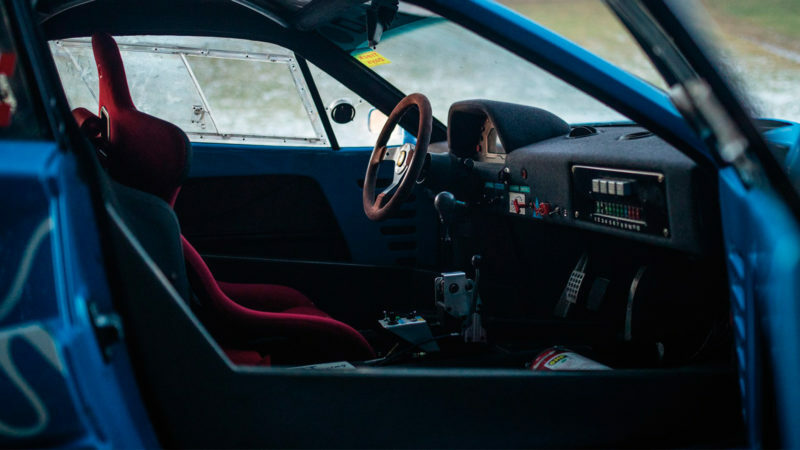 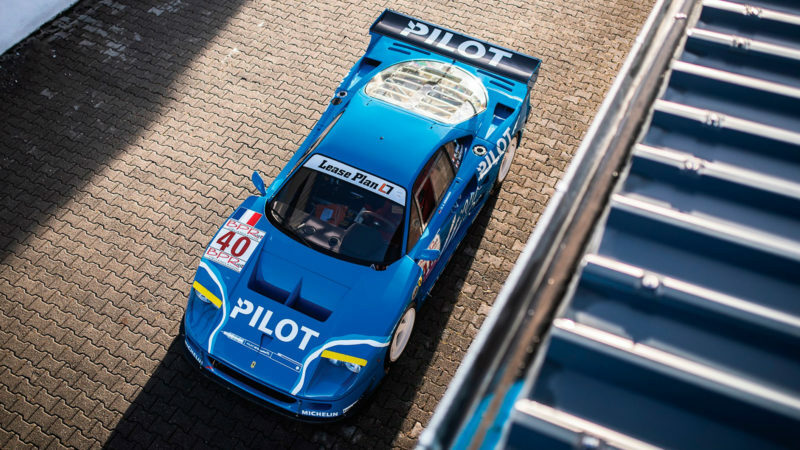 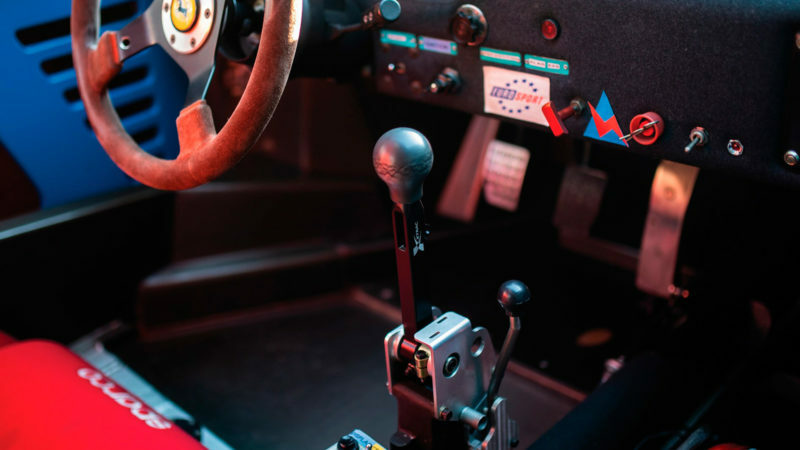 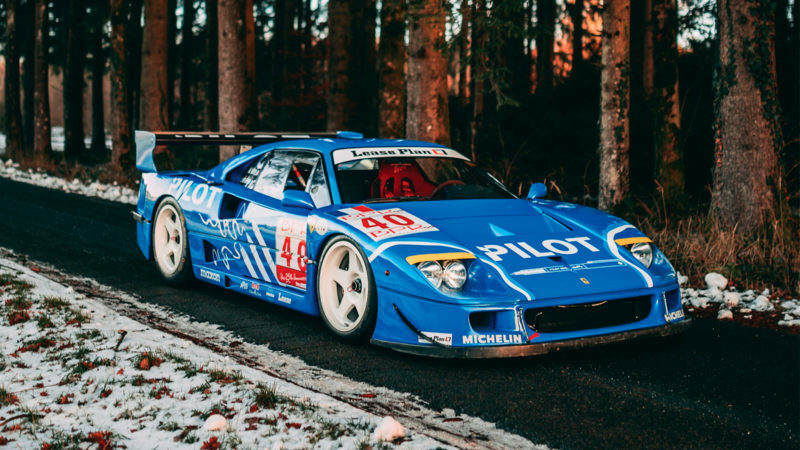 A former factory prototype that raced at Le Mans not once but twice, this 1987 Ferrari F40 LM is a piece of Ferrari history, which is fitting for a car that was launched as a celebration. 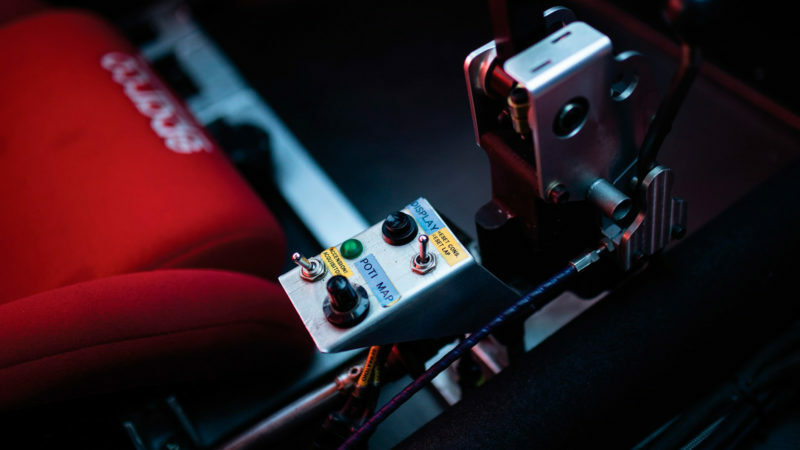 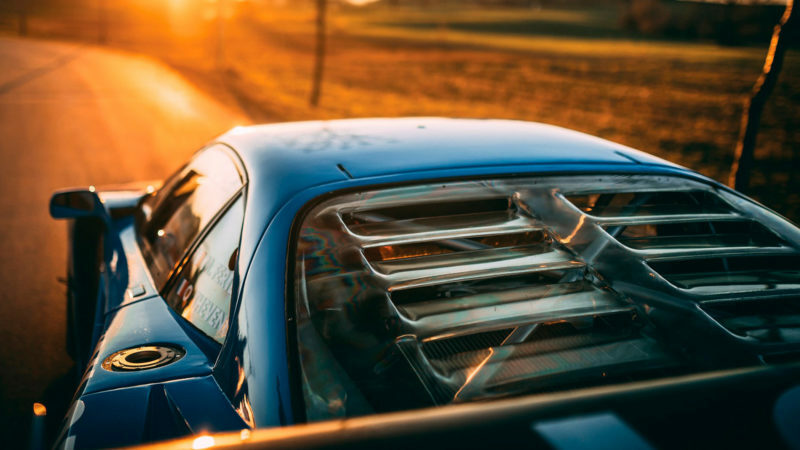 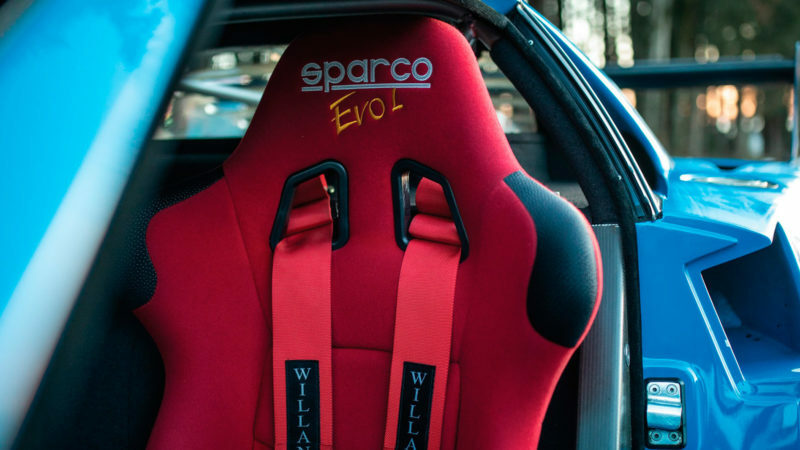 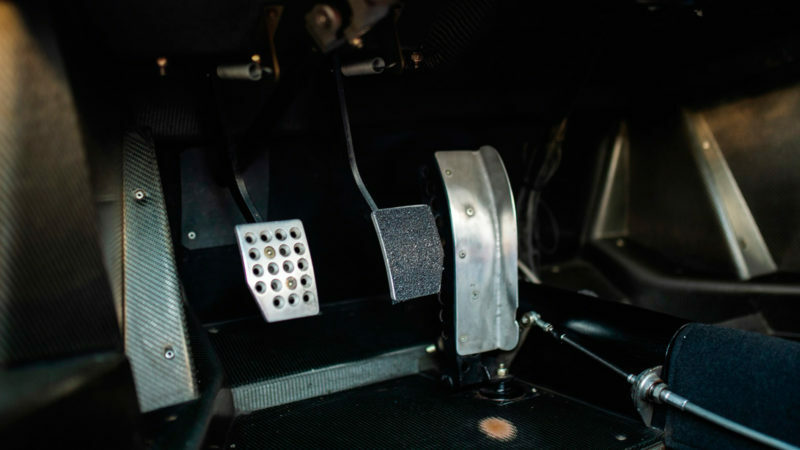 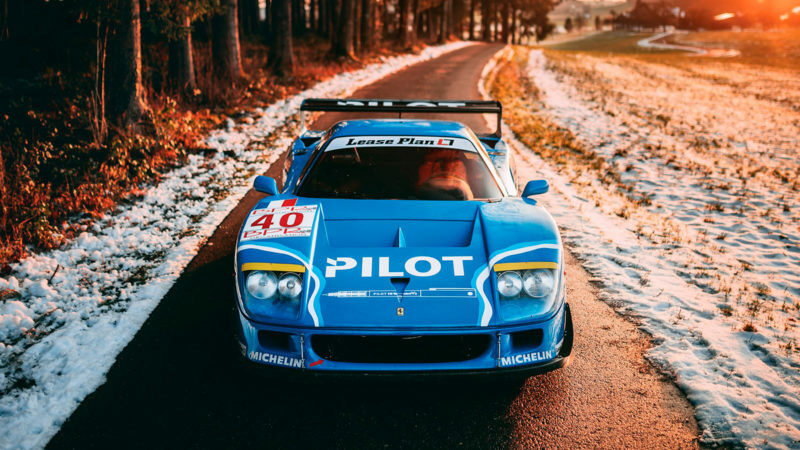 Ferrari created the F40 for their own 40th anniversary, and more than 30 years later, its twin-turbocharged engine and track-friendly modifications are still fit for vintage racing events. 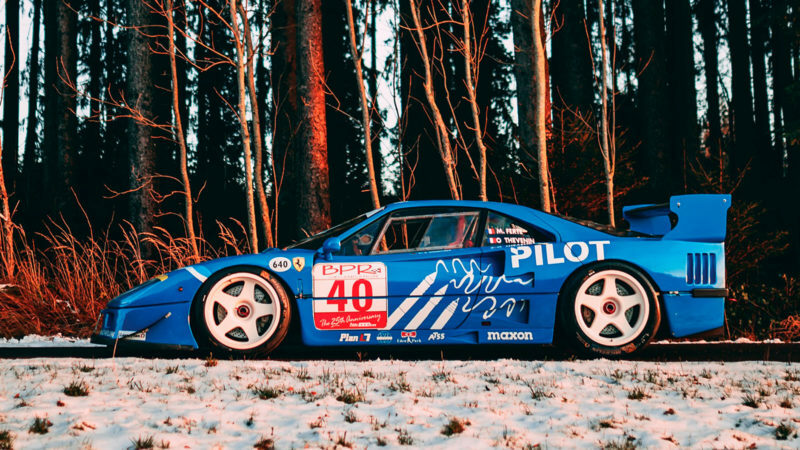 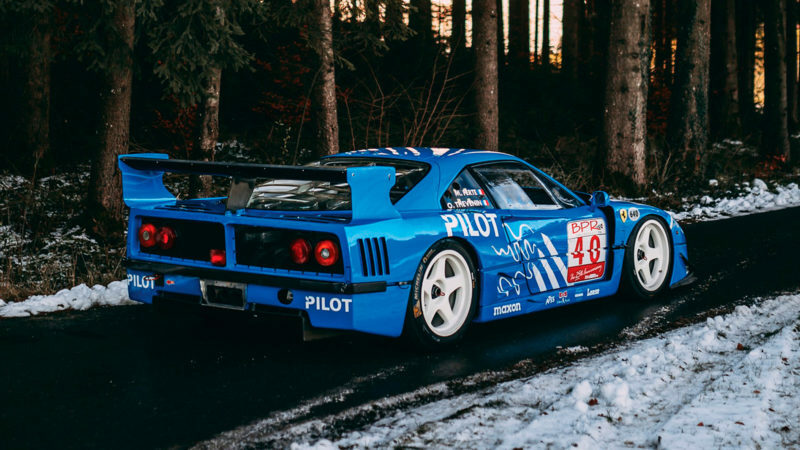 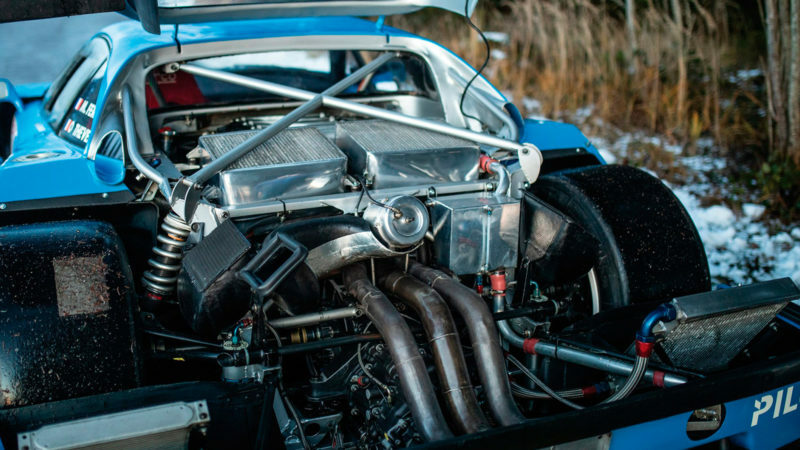 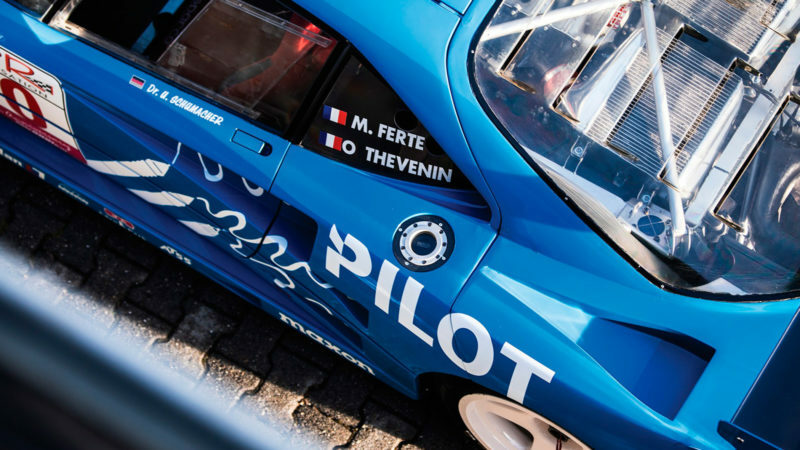 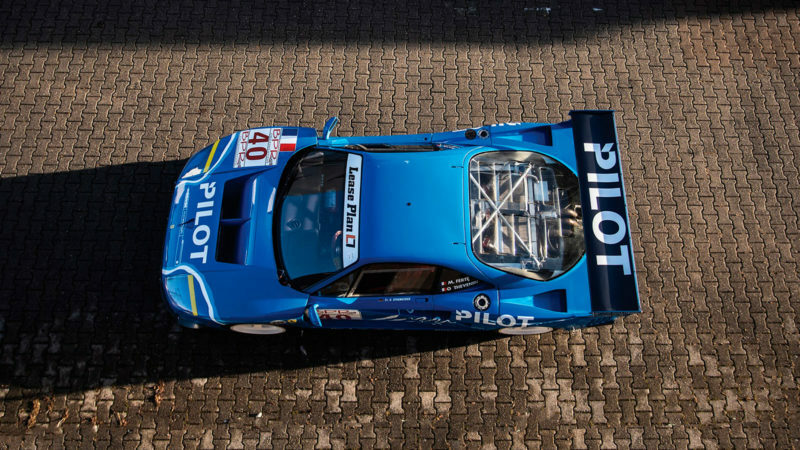 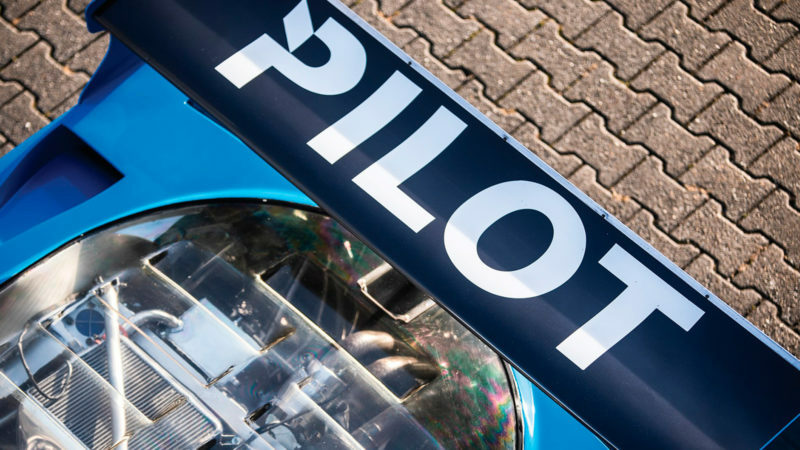 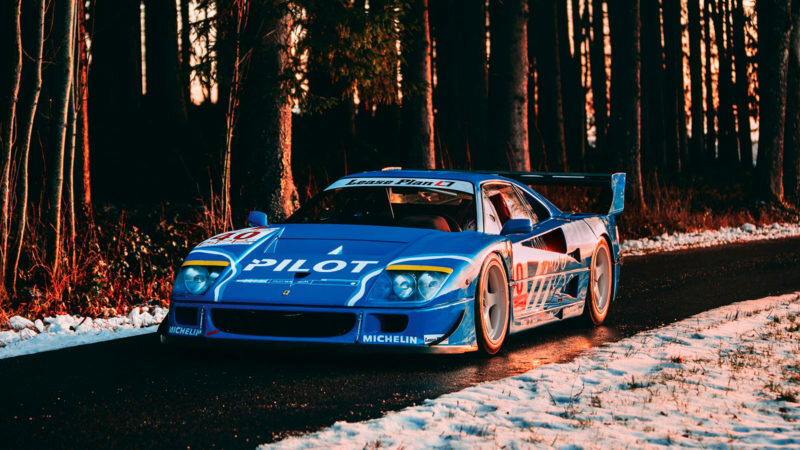 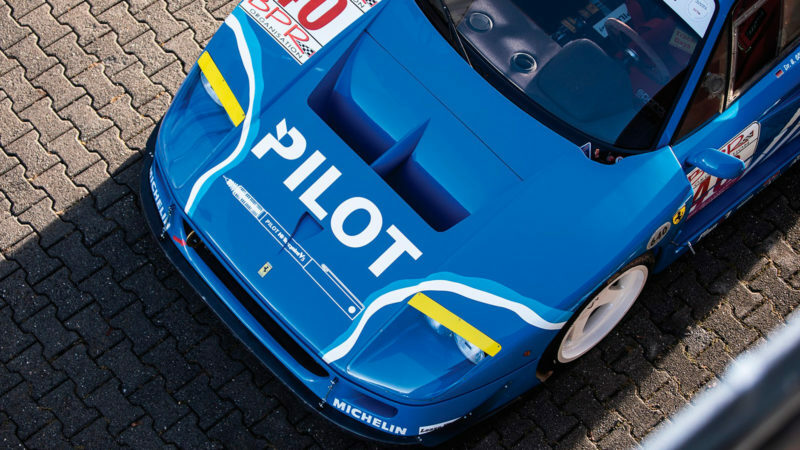 This F40 LM was the third of its kind, and it came to Sotheby’s with the same patriotic French color scheme that marked the start of its impressive competition career in the 1990’s. 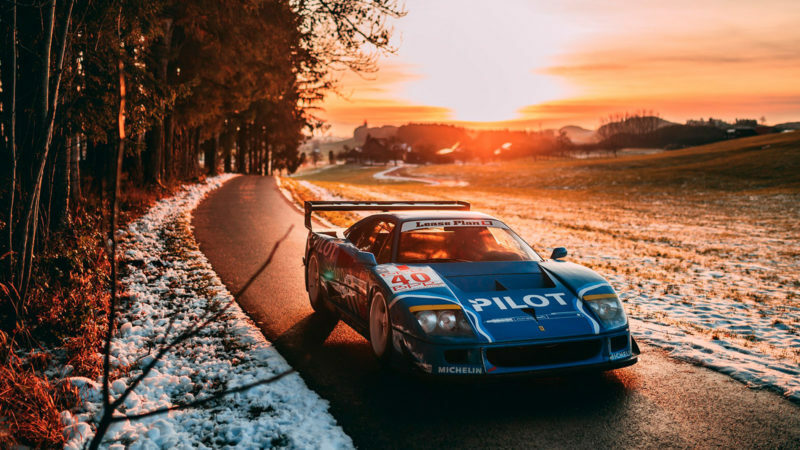 The winning bidder gets the original gearbox, an extra set of wheels, and the option of reintroducing this traveling masterpiece as a concours star.